Morning, today's card is made stamping on distress oxide background on watercolour card, and focal point stamping in archival ink grey ink, using IMAGINE DESIGN CREATE's Time for Tea stamps. This card was prepped for my last Imagine Design Create show on HOCHANDA, but we ran out of time. It does mean however that it is now a perfect project to share with you here. I have created a mini tutorial to show you how the card is made. Welcome, I have been to the Imagine Design Create website and splashed out on a load of stamps lol. I have bought Solid Hearts, Solid Circles, Nesting Circles and Rectangles and Solid Rectangles! I've gone crazy and I could go on and on, I have so many ideas about these stamps but unfortunately there is just not enough hours in the day. I have done a ton of cards and will be showing them on line and in the blog, so I hope you join me. 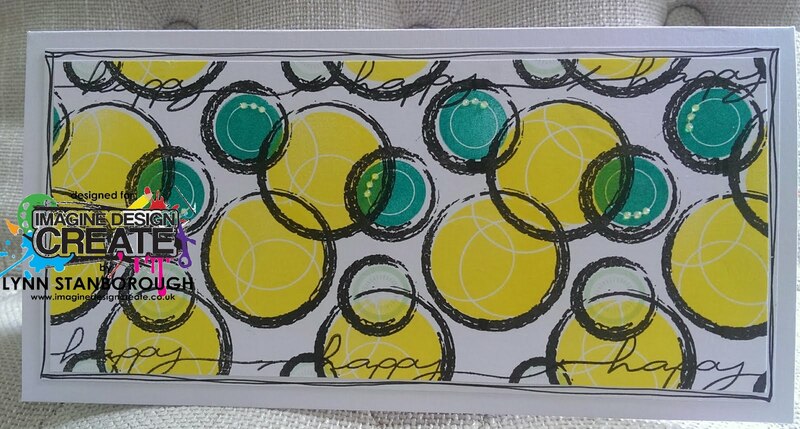 I love the polka effect of the stamp and this inspired me to create a polka background. For this example I have used the Solid Flowers and the Solid Rectangles stamp sets. Hello again everyone, I hope your week has been goo to you so far? 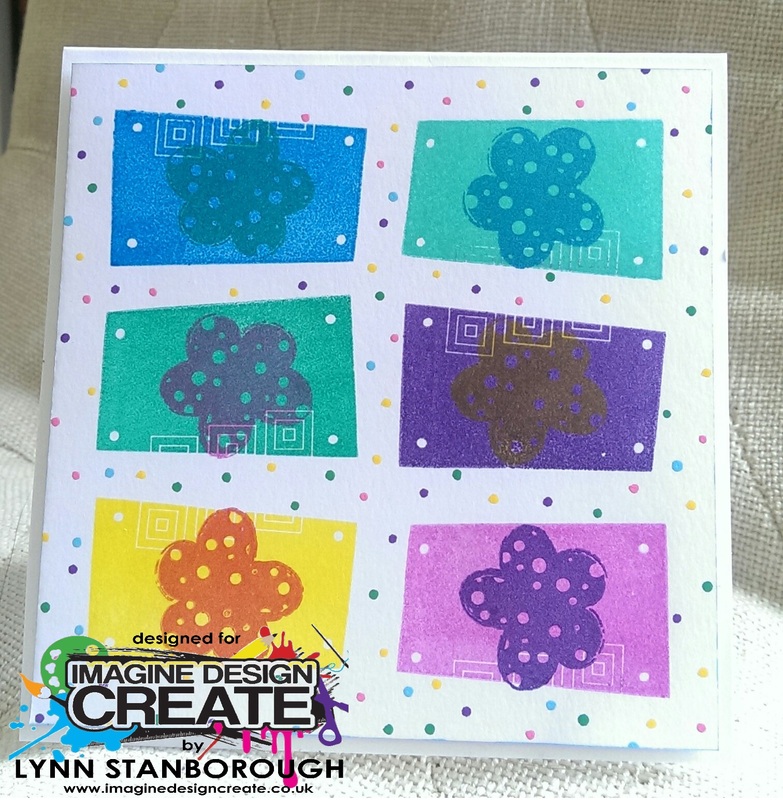 This week i have been playing with three stamp sets from Imagine Design Create. Reach for the stars this stamp set comprises of three large sentiments, Darkness within this is one of my favourite stamps designed and hand drawn by our very talented Kerri-Ann, you get two beautiful wings three sentiments and a star accent stamp, and lastly my ever faithful Star mix stamp set, I probably reach for this stamp set the most when i am creating, you get three fabulous star cluster stamps that are great for backgrounds or foregrounds and two shooting stars that complement the set so well. Here is what I've made this week using the super cute Mistletoe Kisses stamps. I wanted to stamp a cute wreath and add in some hand drawn swirls and inky dots.